Celebrate the Easter season with this festive and flavorful coffee made by the Carmelite Monks of Wyoming. The flavors of warm spices, white chocolate and bourbon make this a delicious treat -- perfect to accompany your Easter dinner or as a pleasant departure from the coffee routine. Monk Shots are compatible with all major single-serve brewers including Keurig ®, Breville ®, Mr. Coffee ® and Cuisinart ®. Each pod contains up to 20% more coffee than most major pod brands, making for a richer, fuller cup; unlike other single cup options, Monk Shots are made with recyclable materials. Warning: Monk-Shots are stronger than regular single serve coffee pods and can produce far more coffee with a much more delicious taste. This taste is due to the freshness, quality and amount of coffee in each Monk-Shot. (Use the larger size cup setting for a normal cup of coffee and less for a very delicious strong coffee. The monks recommend using the 10-oz setting on your machine for a normal cup.) Enjoy Monk-Shots at your own risk of never buying the other brands again! How do they brew such delicious coffee? Stronger: Each pod contains up to 20% more coffee than most major pod brands. Fresher: Packaged and sold to you quickly for a fresher taste. Strong Aroma: The filtration system breathes on each pod, so that you can smell the delicious aroma of Mystic Monk Coffee before brewing it! Authentic: The filters also allow for a richer taste that does not have a plastic hint to it like other pods. Recyclable: Unlike other single-serve options, Monk-Shots are made with recyclable materials. The Carmel of the Immaculate Heart of Mary in Clark, Wyoming was founded by Father Daniel Mary of Jesus Crucified, M. Carm., in 2003. 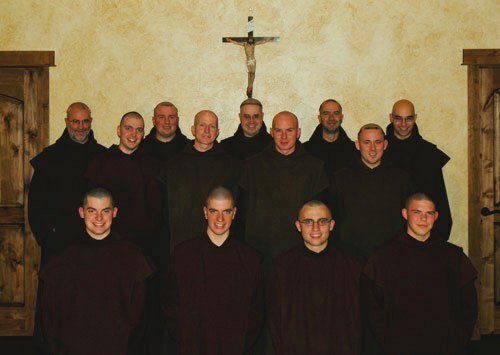 Previously novice master at the Carmelite Hermitage of the Blessed Virgin Mary in Lake Elmo, Minnesota, Father Daniel Mary felt called to found a new monastery in his native Wyoming, in a landscape as harsh and as beautiful as the life known by St. Teresa and fellow Discalced Carmelite founder St. John of the Cross. The location is isolated, surrounded by farmland, rolling prairies and the shadow of Yellowstone's Beartooth Mountains. The community strives to live the authentic, contemplative charism of Carmel as practiced in St. Teresa's strict 16th century regimen, including a revival of the eremitical tradition. They fast, wear sandals on bare feet, sleep on straw and perform up to six hours of manual work a day. Latin is used in the liturgy. 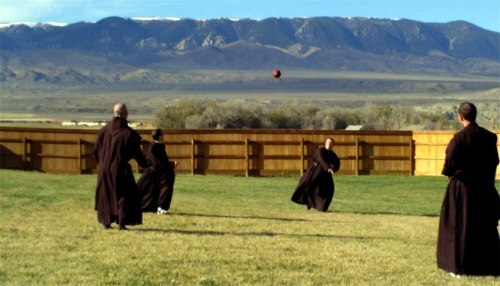 The cloistered monks leave the monastery only when there is an explicit permission from the Bishop, for medical needs or other serious reasons. The monks have been roasting and blending their flavorful coffees since 2007. 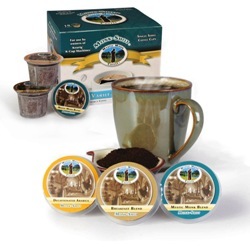 Sales of coffees, teas, and of their chant CDs support the construction of their new monastery. Mar 12, 2018 | By Mary N.
Monk Shots were created by coffee experts the Carmelite Monks of Wyoming for use in your single-serve coffee maker (compatible with all major single-serve brewers including Keurig ®, Breville ®, Mr. Coffee ® and Cuisinart ®). Each pod contains up to 20% more coffee than most major pod brands, making for a richer, fuller cup; unlike other single cup options, Monk Shots are made with recyclable materials.